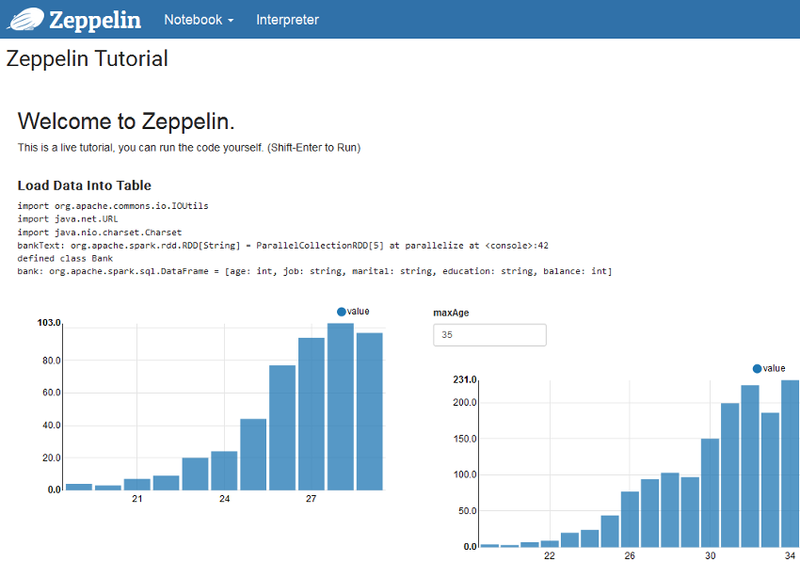 Apache Zeppelin is an open source GUI which creates interactive and collaborative notebooks for data exploration using Spark. You can use Scala, Python, SQL (using Spark SQL), or HiveQL to manipulate data and quickly visualize results. Zeppelin notebooks can be shared among several users, and visualizations can be published to external dashboards. Zeppelin uses the Spark settings on your cluster and can utilize Spark’s dynamic allocation of executors to let YARN estimate the optimal resource consumption. With the 4.1.0 release, Amazon EMR introduced Zeppelin as an application that could be installed on an EMR cluster during set up. Zeppelin is installed on the master node of the EMR cluster and creates a Spark Context to run interactive Spark jobs on the EMR cluster where it’s installed. Also, Zeppelin notebooks are stored by default on the master node. In this blog post, I will show you how to set up Zeppelin running “off-cluster” on a separate EC2 instance. You will be able to submit Spark jobs to an EMR cluster directly from your Zeppelin instance. By setting up Zeppelin off cluster, rather than on the master node of an EMR cluster, you will have the flexibility to choose which EMR cluster to submit jobs to, and can interact with your Zeppelin notebooks when your EMR cluster isn’t active. Finally, I will demonstrate how to store your Zeppelin notebooks on Amazon S3 for durable storage. The first step is to set up an EMR cluster. Applications: Ensure that Hadoop 2.7.3, Hive 2.1.0, and Spark 2.1.0 are selected. Deselect Pig and Hue. In the Add steps section, for Step type, choose Custom JAR. Choose Add and add a second step by choosing Configure again. On the Hardware Configuration page, select your VPC and the subnet where you want to launch the cluster, keep the default selection of one master and two core nodes of m3.xlarge, and choose Next. On the General Options page, give your cluster a name (e.g., Spark-Cluster) and choose Next. On the Security Options page, for EC2 key pair, select a key pair. Keep all other settings at the default values and choose Create cluster. Your three-node cluster takes a few moments to start up. Your cluster is ready when the cluster status is Waiting. Note: You need the master public DNS, subnet ID, security groups, and VPC ID for Master and Core/Task for use in subsequent steps. You can retrieve the first three from the EMR console, and the VPC ID from the EC2 Instances page. Launch an EC2 Zeppelin instance with a CloudFormation template. In the CloudFormation console, choose Create Stack. EMRMasterSecurityGroup: Security group of EMR master. EMRSlaveSecurityGroup: Security group of EMR core & task. Instance Type: I recommend m3.xlarge for this procedure. S3HadoopConfFolder: Replace <mybucket> with an S3 bucket from your account. S3HiveConfFolder: Replace <mybucket> with an S3 bucket from your account. SSHLocation: CIDR block that will be allowed to connect using SSH into the Zeppelin instance. ZeppelinAccessLocation: CIDR block that will be allowed to connect to Zeppelin Web over port 8080. ZeppelinSubnetId: Subnet where your EMR cluster launched. ZeppelinVPCId: VPC where your EMR cluster launched. Optionally, specify a tag for your instance. Choose Next. Review your choices, and check the IAM acknowledgement, choose Create. Your stack will take several minutes to complete as it creates the EC2 instance and provisions Zeppelin and its prerequisites. While you are waiting, navigate to the S3 console and create a bucket for Zeppelin notebook storage. Create a folder in S3 for your Zeppelin user, and then a subfolder under that’s called notebook. 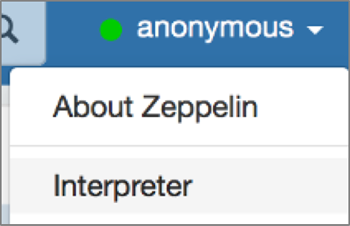 In the screen shot below, the Zeppelin storage bucket is called “zeppelin-bucket,” the Zeppelin user is “zeppelin-user,” and the notebook subfolder is in the user folder. Return to the CloudFormation console. When the CloudFormation stack status returns CREATE_COMPLETE, your EC2 instance is ready. Open the EC2 console to view your EC2 instance. Note the IP address and security group as you will use that in a subsequent step. In the EMR console, select your cluster and navigate to the Cluster Details page. For Security group for Master, select a security group. The default is ElasticMapReduce-master. On the Security Group page, choose Inbound, Edit, Add Rule, All TCP. For Source, choose Custom IP, and in the next field enter the EC2 Zeppelin instance’s security group. Repeat the above steps for Security groups for Core & Task. Connect to your Zeppelin EC2 instance using SSH. Note, if you are using PuTTY, you can follow the instructions in the Connecting to Your Linux Instance from Windows Using PuTTY topic. Complete the zeppelin-env.sh settings with the S3 Bucket and S3 User Folder you entered earlier. You are now done with your SSH session. From the top right navigation bar, select the down arrow next to “anonymous” and select Interpreter. Scroll down to the Spark interpreter. Select the edit button. Under Dependencies enter com.sun.jersey:jersey-client:1.13 in the artifact box. Select the + symbol under action, and then hit Save. The interpreter will restart, select OK. Complete the import process and execute the notebook by choosing Run All Paragraphs. 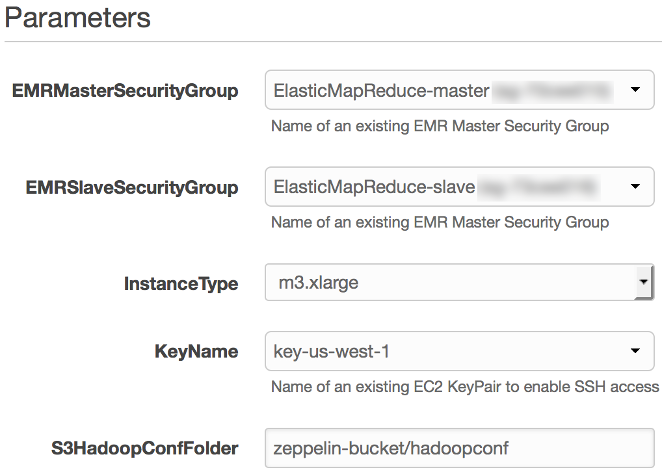 In your Hadoop Resource Manager, you should see the Zeppelin application running on your EMR cluster. Navigate to the CloudFormation console and choose Delete Stack. Navigate to the EMR console, select your cluster, and choose Terminate. Navigate to the S3 console, from the Actions menu choose Delete Bucket. Type the name of the S3 bucket you used for this exercise and choose Delete. In this blog post, you learned how to create a Zeppelin instance on EC2 and configure it as a YARN client. You also configured Zeppelin to store notebooks durably in S3 rather than on a local disk, so you can shutdown or even terminate your instance and still persist your notebook data. In this example you first created an EMR cluster, and then configured Zeppelin to submit jobs to that cluster. In a future post, I will examine submitting jobs to multiple EMR clusters from Zeppelin.